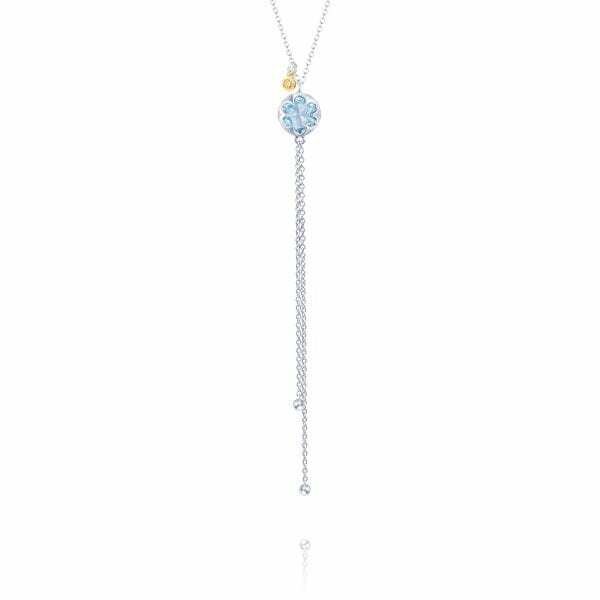 The daintier variation of style SN20202, this Sky Blue Topaz necklace has a sweet surprise. 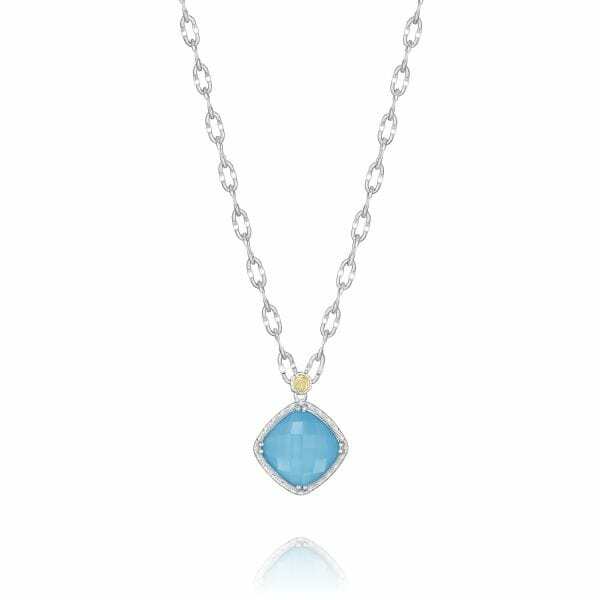 A stunning Sky Blue Topaz gemstone sits gently within a crescent outlined silver basket. 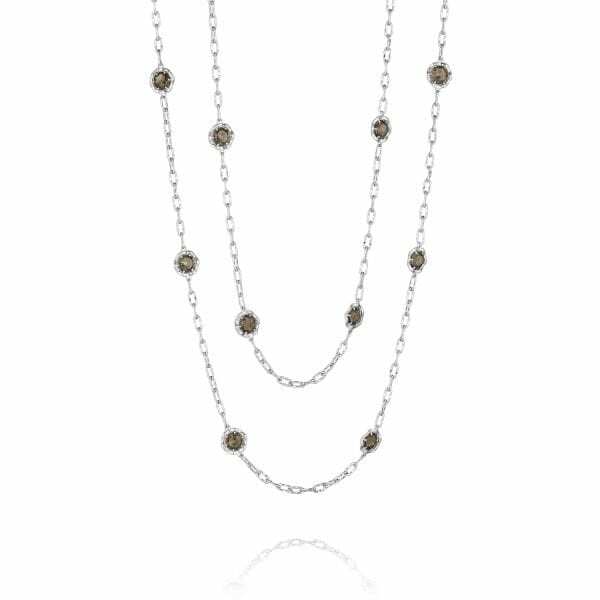 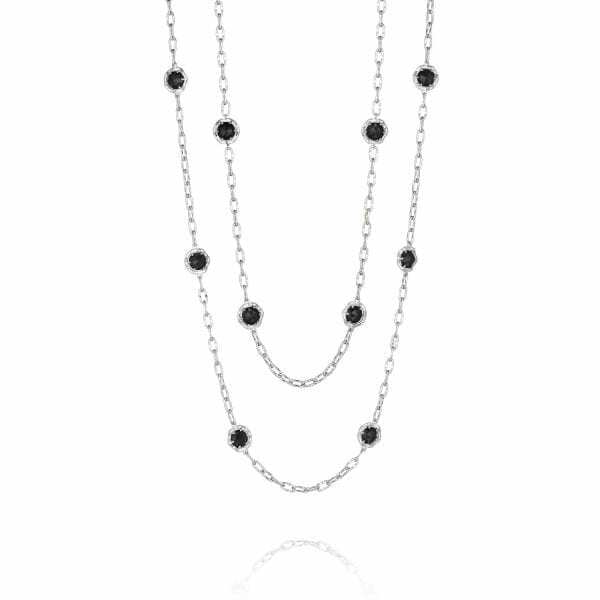 Two silver chains cascade down the studs and end in a stunning silver bead on each end.